Making smartphones is hard, and despite having one of the best pedigrees in the business, Andy Rubin’s company stumbled out of the gate when it launched the Essential PH-1 last year. 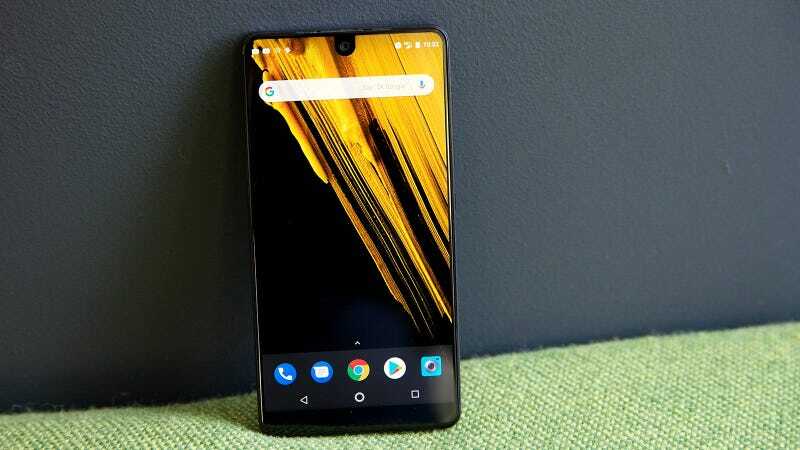 At first, the Essential Phone’s camera wasn’t great and it’s software wasn’t quite as smooth as we’d like, but thanks to continued support and a some price drops, the PH-1 turned into one of the best smartphone bargains of 2018. Bloomberg claims the device will feature a small screen and require users to interact with it primarily using voice controls, while AI-powered software inside handles things like booking appointments and responding to texts and emails automatically without additional input from the user. On top of that, the device is reportedly being designed as a companion gadget that works together with a traditional smartphone instead trying to serve as a full-on replacement for most people. However, this seems like a potentially ruinous move. The whole point of a smartphone is to serve as the sole gadget you need carry around, and trying to convince people to add another brick to their everyday carry could be a very tough sell. That said, the idea is intriguing. One of the great dreams of technology, and AI in particular, is to help streamline peoples’ lives so they can spend less time responding to constant (and often unnecessary) pings from coworkers, solicitors, and other people jamming up your communication. However, with things like Duplex, constantly improving auto-fill and auto-reply, the newly announced Call Screen feature, and the Google Assistant, Google is the clear leader in AI tech. Without the same levels of resources and funding at their disposal, it’s hard to imagine Rubin and Essential will be able to leapfrog the whole industry. Additionally, it seems that the development Essential’s new AI companion device caused the company to push development of its previously promised smart home hub to the wayside. That’s a shame, because with products like the new Echo Show, the Google Home Hub, Lenovo’s Smart Display, Rubin’s early road map for Essential appeared to be on the right track. Personally, I was really looking forward to a second-gen Essential Phone, because it would be nice—especially in the U.S.—if there were more options for phones aside from the Apple, Samsung, and Google handsets that most people gravitate towards. But Rubin’s idea could be just wild enough to work. Hopefully this product doesn’t get canceled before it can see the light of day.